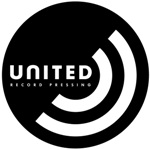 United Record Pressing, LLC is located in Nashville, TN and is a leading manufacturer and distributor of vinyl records in North America. The rapid market growth for vinyl records has the company operating in a high-growth mode, including the opening of a second manufacturing facility in Nashville. Operations include record pressing, printing, electro-plating, packaging, and shipping. Additionally, the company operates a wholesale vinyl record distribution business and a licensing and production business.